Joan's urge for independence is restricted by illness but she decides to throw caution to the wind and leaves the house in search of new experiences. And a horse. Inspired by a close friend’s struggles with M.E. Rory Stewart’s NFTS grad film Wild Horses is a surprisingly uplifting short thanks to some inventive filmmaking and off-beat comedy. 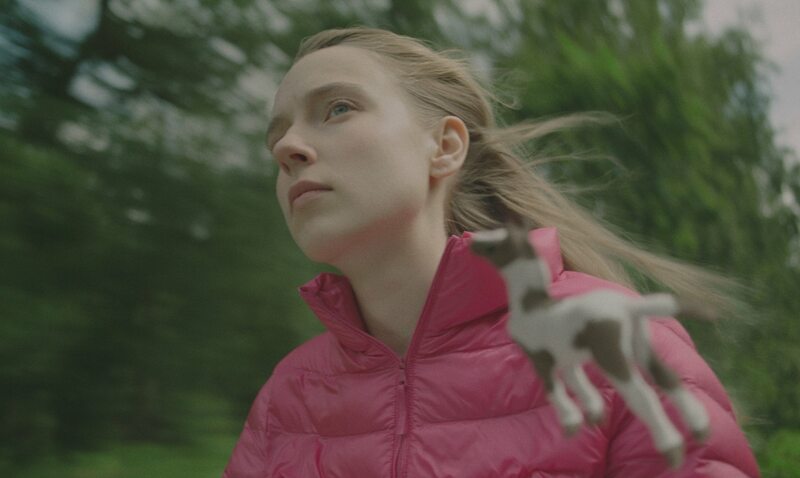 Following its young lead as she battles the frustrations of her illness, whilst becoming more and more obsessed with horses, Stewart’s 26-minute film takes a very internal story and makes it relatable and accessible by injecting it with energy and humour. On the surface, Wild Horses could have easily been heavy-going (a 26-min film about a teenage girl struggling with an illness probably doesn’t sound like everyone’s idea of fun), but Stewart’s filmmaking approach and directorial verve mean it’s an absolute breeze to watch and that near half-hour run-time flies by. “Ultimately you always want a film to connect with audiences, the director admits, “this is a comedy so it’s always nice to get some laughs too. I wanted to raise awareness about M.E. though it’s an illness that many people experience in very different ways, so the key achievement was trying to make it relatable and basically understandable to someone who has no idea what it is”. Wild Horses initially appeared on my radar last year when it was one of 16 films picked from 2,600 entries for the Cannes Festival Cinéfondation category. Having seen it several times at festivals over the last year, the assured filmmaking and off-beat humour means its a short that’s grown on me with each subsequent viewing and its a film I’m so pleased to be premiering on Short of the Week. From that brilliant scene where a horse called Derek Smith is asked to “bring the car round” by Joan’s mum, to the unusual use of animation and that diverse soundtrack, Wild Horses feels like a film by a director completely comfortable with his filmmaking voice. Quite often with short films, it’s all about filmmaker’s finding their style and gaining confidence, but that doesn’t feel the case with Stewart’s film. This is an assured piece, full of confidence and originality and its easy to see why its been so well received on the festival circuit. Rory is currently working on developing feature ideas and has a script in development with Escape Plan Productions. He’s also hopeful of directing another short soon.